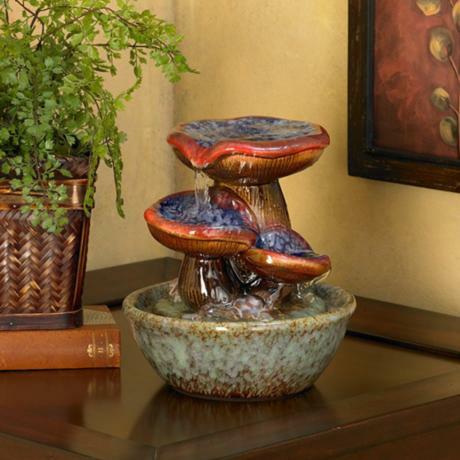 This beautiful ceramic table fountain will be a visual and audible treat for your home or office decor. It features three ceramic toadstools. Water trickles down the various levels creating a soothing and relaxing sound. At a mere nine inches high, this makes an ideal office or desk accessory. Easy to set-up and plugs into any standard outlet.